We have been getting a ton of traffic to the website, people have used the online request form for info. I am excited! The web-site looks great, and it’s now easy for me to use. I really can’t thank you enough for all the hard work you have done. THANKS Malama Online!! You are awesome. I really appreciate your PROMPT, COMMITTED & PERSOANBLE customer service. It’s so refreshing. Working with Aaron was one of the easiest and most pleasant experiences I’ve had with my business. He is an extremely good communicator, and really knows his stuff. In a short time, he was able to build me a site which matched my design exactly, and added extra touches to maximize ease of navigation and user friendliness. I have worked with several other developers in the past, and none even come close to Aaron in his ability, knowledge and customer service. All my web development work is going to Aaron from now on! The training he took me through, and his insight is worth its weight in gold. As a designer, I can be super picky- especially with my own stuff, and his execution was flawless. 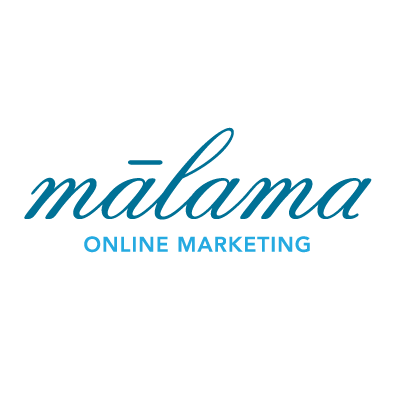 Working with Malama Online Marketing has been a dream. Finally someone who understands technical things can explain it to someone who doesn’t. Clear communication was present throughout the project, enabling the consumer to understand specifically their own needs more effectively. Amazing, thanks again Malama Online Marketing. Malama Online Marketing did a great job explaining the recommendations. Once I decided which program to go with, Malama Online Marketing walked me through the process step by step. This systematic approach was a great way to keep on track and ensure everything was covered. All I needed to do was watch the results. I am very pleased with the results. I am on the first page, moving up! My call volume has increased and in turn so has business. Malama Online Marketing was very professional and focused during the project. I appreciated the efficient use of everybody’s time throughout the process. Malama Online Marketing is a very knowledgeable and detail oriented developer with superior people skills. We have worked together on many projects. As a designer, it’s refreshing to work with someone who has a good balance between analytical and creative. He’s my go to guy! Malama Online Marketing was one of the most all around competent managers we have ever had at Kona Boys. He was both efficient and detail oriented and was consistently bringing new ideas to the company and helping to implement them. Beyond Malama Online Marketings great business skill set, he is wonderfully personable and was continually being complimented by customers and staff alike. Overall Malama Online Marketing was a great employee who’s presence is still missed today. Aaron volunteered for several months at the Maryland Science Center and worked on a special project for the TerraLink exhibit, creating a new web-based interface for one of the interactive components. Not only did he re-vamp the layout of the existing interface, but he also added new functionality that we had had trouble getting guidance on from the component’s manufacturer. He worked extremely independently but very conscientiously and produced a well-crafted product. His expertise and contribution allowed me to focus on other projects. On top of it all, he was very pleasant and easy to work with. He was easily one of the top interns/volunteers that I worked with during my tenure. Aaron was our go-to-guy who could handle any task you threw his way. While his specialty was research, he was very adept at creating actionable analysis and interrogating the data in ways that would lead to productive output (and plenty of food for thought for business decision makers.) I highly recommend his brain to your next project. Aaron’s a smart guy who always provides a fresh, different perspective on any project. I always enjoyed working with Aaron, both personally and professionally, because he made every project better. Malama Online Marketing brings a new perspective to the table. He is creative, innovative, and delivers doable solutions in an affordable package. On one hand he’s very much a part of the team; on the other, he brings valuable insight to address hidden blind spots. I highly recommend Aaron if you are looking to take your web presence to the next level. Responsiveness (24hours or less) is refreshing…it’s above the standard of service out there. We don’t feel like 1 of 100, we feel like we have your full attention. They strike a good value between what’s practical and possible. They push us to dream and stretch, but give a solution that we can implement. Thanks so much. I LOVE IT!…the response from Laurie’s Growth Curve Specialists has been very positive. They’re so impressed with the improvement from the old system. They’re feeling like this is so much more professional and has some great improvements. Malama Online Marketing updated my website and worked to give me a better web presence. I was amazed at how my ratings boosted in several search engines. I have also seen and increase in potential clientel due to this. I’m very grateful for this service and highly recommend it!